Although Paul Celan is my favourite poet, I was somehow unaware of his poem, “Mapesbury Road”, which refers to a street that is about five minutes from where I live in north-west London and was written in 1968 immediately after the death of Martin Luther King and the attempted assassination of West German student leader Rudi Dutschke. As I learned from a fascinating programme on Radio 4 about the short poem last week, Celan’s paternal aunt Berta Antschel – one of the few relatives of his who had survived the Holocaust – lived in a flat in the eponymous street, where Celan visited her in April 1968 and wrote the poem, which was published posthumously in the collection Schneepart in 1971. Like most of Celan’s late poems, it is incredibly dense with compound words (e.g. “Mitluft”, which Michael Hamburger translates as “co-air”) and therefore difficult to decipher. 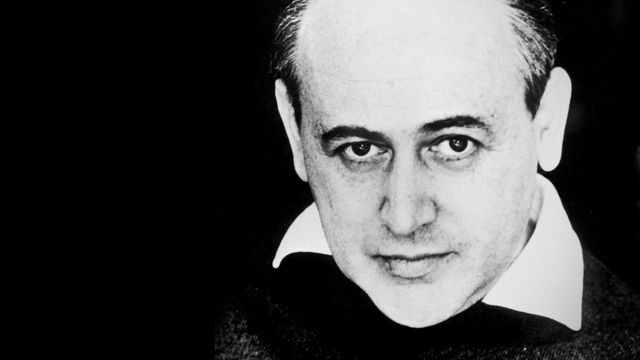 As George Steiner says in the programme, Celan’s poems are “on the other side of our current horizons”. However, as the programme showed, the time and place at which “Mapesbury Road” was written offer a couple of intriguing clues to its meaning. It seems likely that the bullet in the poem refers to the shootings of King (which took place in Memphis on April 4) and Dutschke (which took place in West Berlin exactly a week later on April 11). In a letter to his wife Gisèle Lestrange on April 10, Celan describes a meeting with the Austrian poet Erich Fried, who lived just around the corner from Berta Antschel in Dartmouth Road and knew Dutschke (in fact, Dutschke would come to stay with him in London that autumn). Celan and Fried talked among other things about Israel and left-wing anti-Semitism, so it seems likely that the West German student movement was on Celan’s mind even before Dutschke was shot a day later. The reference in the poem to magnolias, meanwhile, was probably prompted by the trees in Mapesbury Road that would have been in bloom in the spring when Celan was there and reminded him of his childhood in Czernowitz (and also connects, via the Billie Holiday song “Strange Fruit”, to the murder of King). An exhibition on the poem is also about to open at the Southbank Centre in London. This entry was posted in German literature and tagged 1968, London. Bookmark the permalink.